Answers to questions about my career and approach, mainly to character voice work. Pat teaches how to break a character voice down to its elements by deconstructing Scott Burns’ impression of Barney Fife. Lessons on what the female character performer is up against. A brief lesson on the importance and ways of “separating” character voices from each other. 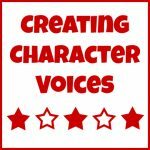 A lesson on adjusting characters for various voice over genres, and a demonstration on the character voice element of Placement. A rapid way of creating character voices, which addresses their uniqueness and inner life. A demonstration of voice matching/replacement skills, and information on ADR/Looping work. A lesson on the importance of breaking the compound of “Accent/Character Voice/Acting” down to its elements for study, and putting it back together for performance. Lessons learned by performing with the stars of our industry. A lesson on the difference between an accurate and an authentic dialect, and how to customize a generic accent with fast authentic research. A step-by-step lesson of how I go about building a character voice demo. Techniques for coming up with dialects for voice over work, demonstration of how dialects may not only reveal region or country, but also the psychology of the character. A lesson on the importance of knowing voice over genres ands styles, and being able to adjust your performance level to them. Take Your Time: Pacing with Master Audiobook Narrator and Teacher, Scott Brick. A simple lesson on narration pacing. Pat teaches and demonstrates a technique which addresses breathing while narrating an audiobook. Three excellent audiobook demos that got the participants book deals – two of them first time deals. A lesson about the difference between a good read and a narration that realizes the story. A brief lesson on how to prepare your audiobook demo. A brief lesson on a very productive storytelling method for commercials, narration, and audiobooks. Ed Asner’s valuable lesson on performing with low volume, expressiveness and realism. Interview with Phil Crowley, long form narration great— sharing his performance process. Exaggeration, “playing catch” with a partner, how to affect being out of breath, playing the environment, the difference between voice over and on camera comedy. A lesson on various aspects to look for when performing voice over comedy. A lesson on playing comedy featuring Pat and Candi Milo. A lesson on how to interact with sound effects, music, and processing. A lesson the on importance of playing back your recorded efforts, and using processing and sound effects to advance your skills and address your booking-to-audition ratio. A 3-minute lesson on creating voice over snippets for commercial demos that include on-camera dialogue. A 10-minute lesson on the public relations and promotional possibilities of creating audio sketches, mock commercials and other aural delights of mayhem for free. Actor and Comedian Tom Wilson’s interview with me on my career, the ups and downs of my life, and why my grandma was named Nevada. A five-minute lesson on the value of confidence and how to get it. Method, techniques, and mindsets to combat performance fear, and increase the skill of relaxation. A lesson on the misuse and underuse of improvisation for voice over commerical work. An eight-minute demonstration/lesson/exercise on how to get more expressive through learning to use the 8 means of emphasis. A two-minute whimsical lesson on the importance of “Projection” in voice over. A lesson on the importance of avoiding confusion when learning a discipline that is simple, yet complex, and “mini lesson” on how to gain confidence and its value. How to raise effectively raise the volume of audio files for auditions and production without using processing. A lesson on auditioning techniques from home, in the booth, and at the producer’s place.